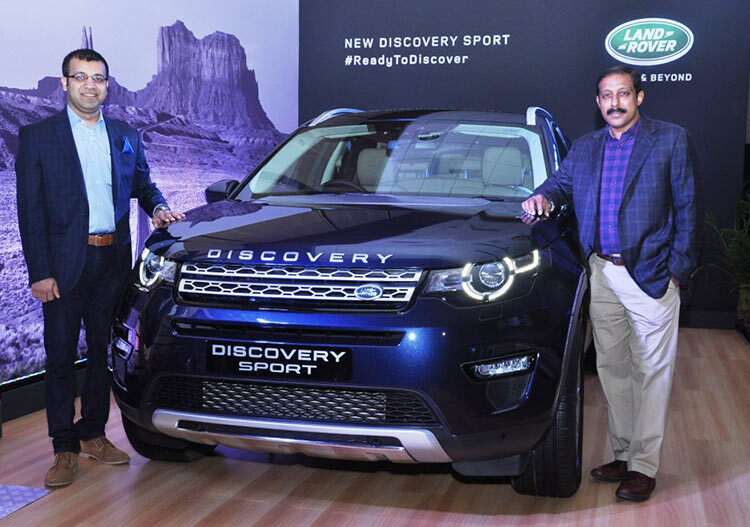 Land Rover’s first new member of the Discovery family, the new Discovery Sport arrives in Bengaluru with prices starting from INR 46.92 Lacs (ex-showroom, in Bengaluru). Discovery Sport’s new design approach defines the new Discovery family with optimised volume, proportions and stance. Its progressive design and excellent engineering result in a dynamic profile, offering optimised use of interior space and 5+2 seating configurability. We would like to thank many passionate and spirited Land Rover fans and customers who have already responded by placing their advance orders for this fantastic new versatile SUV. The Discovery Sport, an exceptional combination of technology, design, off-road and on-road capability, charts a new territory which will be tough for its peers to enter into. With approach, departure and break-over angles of 25, 31 and 21 degrees respectively, Terrain Response technology and the ability to wade to 600 mm, the new Discovery Sport offers class-leading capability in all conditions. As with every new Land Rover, safety has been a key priority in the development of the new Discovery Sport, resulting in state-of-the-art body-shell featuring both ultra-high-strength steel and lightweight aluminum. This represents a fraction of the advanced equipment available in Discovery Sport, which also includes park assist, an all-new 20.32 cm colour touch-screen with navigation and rear seat entertainment. The new Discovery Sport is equipped with 2.2L four-cylinder turbocharged diesel engines, available in 140 kW SD4 and 110 kW TD4 derivatives. The prices above include best-in-class warranty for 3 years / 100,000 km (whichever is earlier) combined with a complimentary 3 year standard service pack. The new Discovery Sport will be available in Bengaluru in 7 exterior colour options with exciting interior colour-ways such as Tan / Ebony, which is available on top-of-the-line HSE Luxury model. It will be locally manufactured at Land Rover’s facility in Pune, Maharashtra.